They say good things come in pairs...well, excpet maybe when you're the target of a masked serial killer. 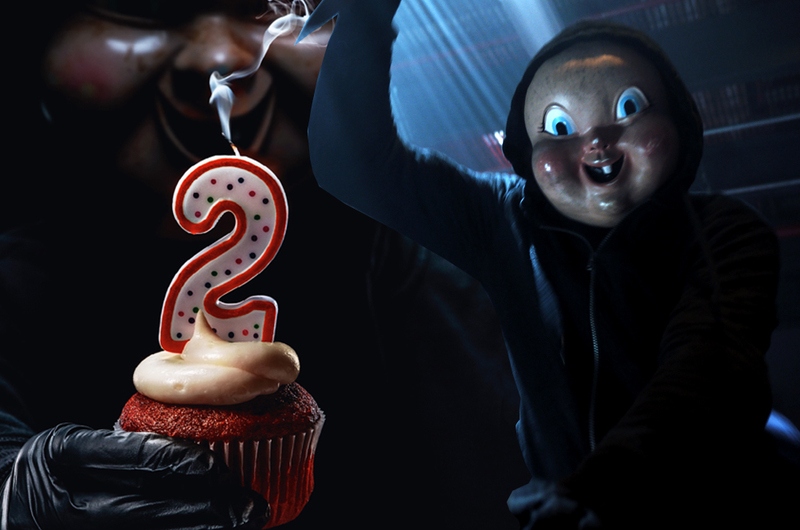 The second film in slasher flick 'Happy Death Day' franchise, 'Happy Death Day 2 U', is back to haunt cinemagoers this month. Two years after the events of the first film, college student Tree Gelbman is still living with the nightmares of falling victim to a masked serial killer after she woke up in an alternate universe. Determined to understand why she entered a time loop in the first place, Tree re-enters it again - only to come face-to-face with a revenge-seeking Lori, who has been resurrected by the power of the time loop. When the psychopath starts to go after her inner circle, Tree soon realises that she must die over and over again to save her friends. 'Happy Death Day 2 U' is set to open in Malaysian cinemas on 21 February, but if you can't wait any longer, our friends at United International Pictures are giving you a chance to catch the movie a few days before everyone else. All you have to do to win a pair of exclusive premiere screening passes is to answer two simple questions and complete the slogan below as creatively as possible to stand a chance to watch the screening on 12 February 2019 (Tuesday). Winners will be notified via e-mail on 11 February. Remember to check the Spam folder, okay? - Closing date: 10 February 2019. - This contest is open to residents of Malaysia only. - The judges’ decision is final and no correspondence will be entertained. The publisher reserves the right to replace the prizes published here with other prizes of equivalent value and the redemption of said prizes are up to the publisher's discretion. - Winners will be notified via email/mail/phone. - Details provided will become the property of MEASAT Broadcast Network Systems Sdn Bhd and may be used for future marketing purposes. - Click here to read the privacy notice.